Buying a gift for an artist as successful as Lil’ Wayne can be pretty hard, but don’t tell Nicki Minaj that. 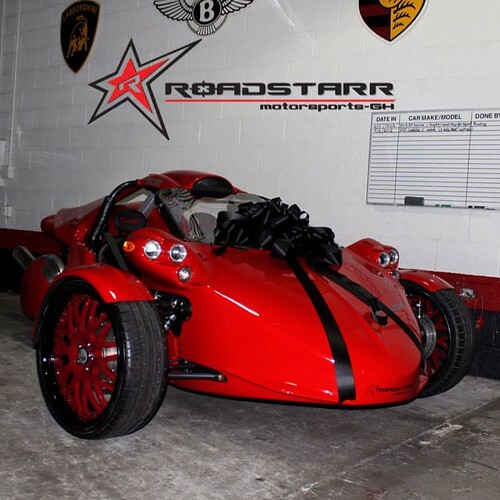 The Harajuku Barbie hit Twitter earlier this afternoon to reveal her birthday gift for Weezy, a $70,000 T-Rex cyclecar. The bright red 3-wheeler is light, weighing only 1,040 pounds. It reaches a maximum fast speed of 150mph and orginally retails for $50,000. 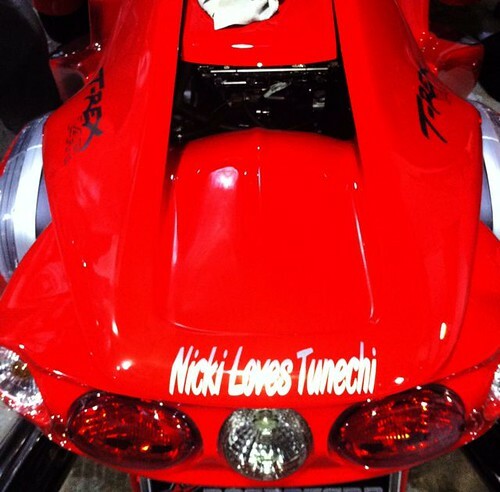 But Nicki made sure to add some nice details to it including a message at the back which reads “Nicki Loves Tunechi.” The car was delivered to Wayne during his 30th birthday celebration in Hollywood on Thursday night. Check out another photo and video after the jump….